In the morning, guests will be picked up in Boston to to the Corning Glass Museum in Corning, NY to learn about glass making. 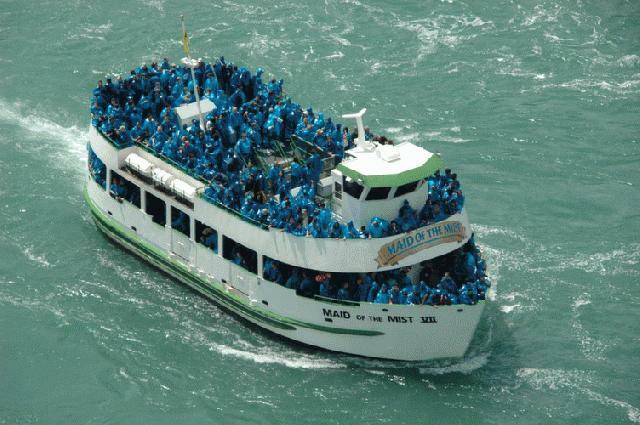 From here, we will continue to Niagara Falls, where we will board the famous Maid of the Mist. We will also have the opportunity to see the Thundering Water Cultural Show and the Niagara Falls Illumination, Niagara Falls Adventure Movie. In summer time, it will be alternate Thousand Island. 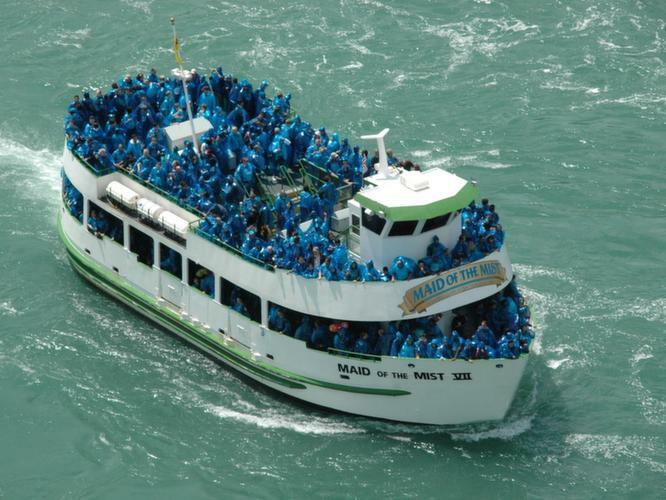 Today, we will have the option of taking the famous Jet Boat Ride, followed by an In-Depth Tour of Niagara Falls that visits places such as Old Fort Niagara. in the afternoon, we will drive to Buffalo to visit the Buffalo and Erie County Naval and Military Park. Later, we will enjoy dinner in the Walden Galleria, the city's largest shopping mall. The state's second largest city, Buffalo, looms up in a cluster of Art Deco spires and glass-box skyscrapers - Manhattan in miniature on Lake Erie. The Buffalo and Erie County Naval & Military Park, formerly known as The Buffalo Naval and Servicemen's Park, is a museum on the shore of Lake Erie in Buffalo, New York. This shopping mall in the suburbs of Buffalo, NY covers over 1,600,000 square feet of space and includes 250 stores. Its anchor stores are Sears, Macys, JCPenney, and Lord & Taylor. Today we will visit the Thousand Islands region. When we arrive, we will take a Boat Tour. Afterwards, we will travel back to Boston, where the tour will come to an end. Please see "Departure and Return" for more detailed information regarding pickup and drop-off times and locations.